Wouldn’t it be nice to hold health right in the palm of your hand? To have a little device that makes being healthy easier and even fun because you can share it? There are a million health gizmos on the market, and many of them make more promises than sense. But few countries do health-tech better than South Korea – where the $10 billion smartwatch and fitness band market started. The worldwide fitness wearable market is expected to double over the next four years, and one company is on deck to be, in startup parlance, “the disruptor.” The device is called Fitrus Plus, and it’s scheduled to launch on Kickstarter April 15. Skip the scale. Mind the fat. South Korean innovator, OneSoftDigm (OSD), is looking beyond health and fitness norms such as body weight and Body Mass Index measurements. We’ve been thinking of our bodies the wrong way in terms of weight loss. It’s not enough to weigh yourself. The OSD health experts explain it’s more important to know your body composition. Our bodies are composed of body fat and muscle mass, water, and organs. What we need to know is our body fat percentage, body-fat mass, and muscle mass. Once you know your body composition, Fitrus helps personalize a dietary plan and an exercise routine that fits your body type. That’s the “secret sauce” of this fitness device. Health experts and engineers developed the technology to yield the information, then sync that custom data to the app for advice. Body fat percentage and skeletal muscle mass are now considered vital to managing a healthier body composition. As the body ages, it loses muscle mass and with it the ability to burn calories, build additional muscle mass, and avoid chronic diseases such as obesity. Using high-tech sensors and patented technology, Fitrus measures body fat percentage, “Which is really a big deal,” says Cha. OneSoftDigm was founded in South Korea in 2015 and is now on a trajectory of start-up success. Fitrus Plus is a second-generation effort for them. Following a strong market showing for an earlier product, they connected to Eindhoven’s HighTechXL accelerator program and went to market with One SMART DIET last December. They’ve also received funding and startup awards from around the world and have 10 patents pending. The fitness device market is crowded, but there are two sweet spots for personal health devices: fitness fanatics, who want every byte of data they can get to inform their eating and workout routines; and everyone else who knows we should be more like that other group. 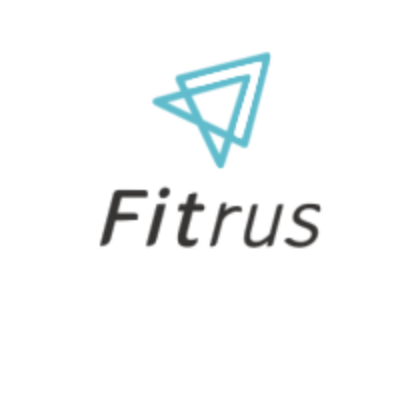 Fitrus addresses both markets and delivers to each customized advice to help users form better habits. Cha believes there is another entirely untapped market as well: health-minded older adults. Older adults struggle to keep up with healthy habits and adequate physical fitness necessary to maintaining muscle mass. Most are not typically early adopters of sophisticated technology. Many aren’t very mobile, either, so getting to a clinic for a laborious body fat analysis sometimes isn’t possible. Fitrus Plus can be used in elder care, helping to monitor physical therapy and muscle-building results. Easy to use by simply holding with outstretched arms, Fitrus provides an accurate measurement of body composition. Once users – and caregivers – have that important piece of information, they can make dietary adjustments to add more protein to users’ diets. OneSoftDigm is in talks now with a company interested in a partnership to provide protein powder for users who need more protein in their diets. The elder care market could be a perfect fit for this technology. Currently in talks with groups in Europe for venture capital funding, distribution, and development of technology for diabetes care, OSD seeks to partner internationally with distributors, health care providers, employers seeking employee health incentives, food, vitamin and supplement manufacturers, and other affiliates who serve health-minded older adults as well as the engaged digital consumer. This emerging technology will likely have applications – with ready markets – no one has considered before. Fitrus Plus embraces the concept of nature and nurture as vital to overall health and longevity. It unites science, technology and mindset in a fitness and health companion, giving everyone a fitness partner that fits individual lifestyles. Body fat percentage: Too much fat leads to chronic diseases, takes up more space on the body compared to denser muscle tissue. Muscle mass: A healthy amount helps to build more muscle mass and prevent sarcopenia, or age-related muscle loss. Heart rate and stress index: Resting and peak heart rate can help in analyzing tachycardia. Recognizing and addressing sources of stress can eliminate them. Oxygen saturation: Low oxygen impacts breathing and muscle efficiency. It’s a useful tool for “serious athletes and people with health problems,” according to Livestrong.com. Basal Metabolic Rate: Another measure of efficiency, BMR shows how well our resting body utilizes energy, typically up to 60% of daily expenditure. Body Mass Index: Simply a comparison to a broader population, a general guide to the relative level of muscle mass versus fat. Skin temperature: An elevated body temperature could indicate a minor infection or problem with the immune system. Also, after vigorous exercise, body temperature rises. Steps: Health experts have been saying for years that sitting is the new smoking, so daily step activity is important to prevent chronic diseases. Studies show we are often the product of the groups and teams we’re a part of, reflecting poor health choices or smart ones, as a group. Fitrus is sharable, so users aren’t alone in making smart choices when eating out, shopping for food or deciding to exercise. Because we humans are social creatures and tend to perform better when competing, OSD developed Fitrus for sharing with unlimited members in a group. This is a departure from the wearables market where each user must have his own device. Fitrus supports success by learning about each user. Science shows that knowing about our health motivates us to improve and maintain our health. The device is easy to use. Just hold it in your hands, and it measures body fat and muscle mass. The simplicity of the device and the clarity of the app and feedback belie the sophisticated technology behind it. That patented technology renders Fitrus highly sensitive for better accuracy. It uses “BIA” or “bioelectrical impedance analysis” for measuring body composition, and specifically, body fat. BIA determines how easily a tiny electric current flows through your body tissues, or to be more precise, the opposition, or “impedance” to the flow. Fitrus, however, is not meant to push users to become obsessive about measuring body metrics. Weekly readings for some calculations are advised.